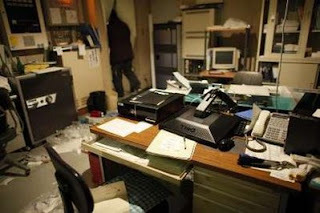 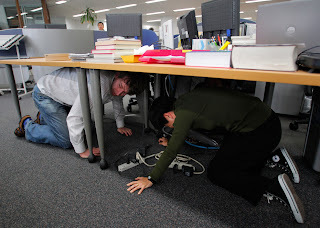 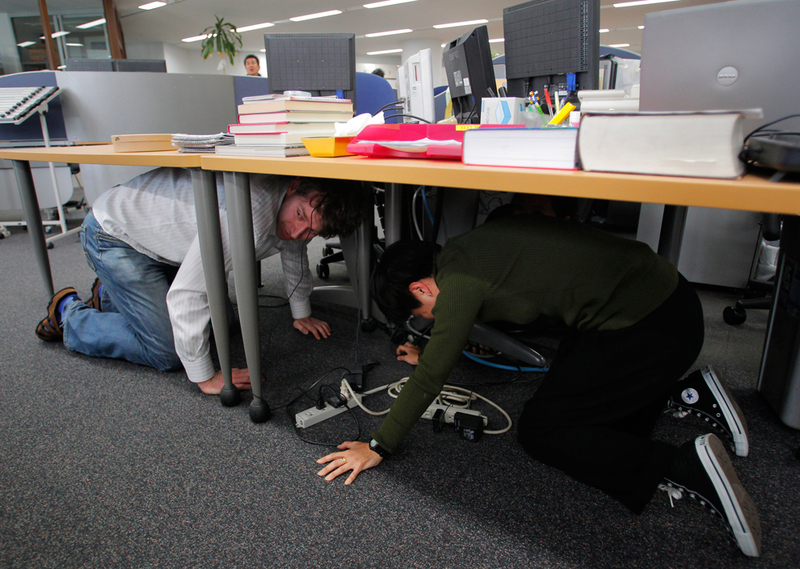 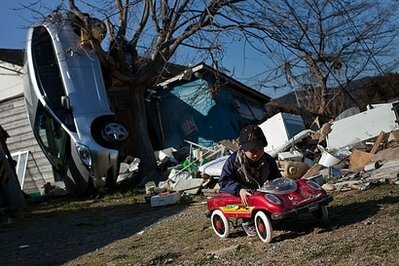 Japan was rattled by a magnitude-7.1 aftershock Thursday night nearly a month after a devastating earthquake and tsunami flattened the northeastern coast. 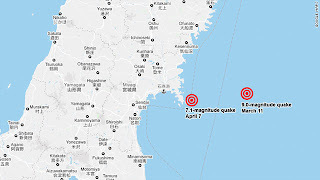 The strongest aftershock since the day of the magnitude-9.0 megaquake was a fresh blow to victims of that March 11 quake and subsequent tsunami that killed some 25,000 people, tore apart hundreds of thousands of homes and has sparked an ongoing crisis at a nuclear power plant. 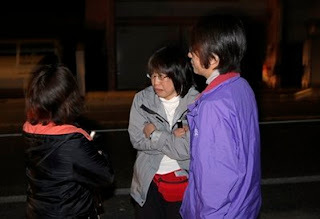 Damage and injuries from the aftershock were not immediately clear. 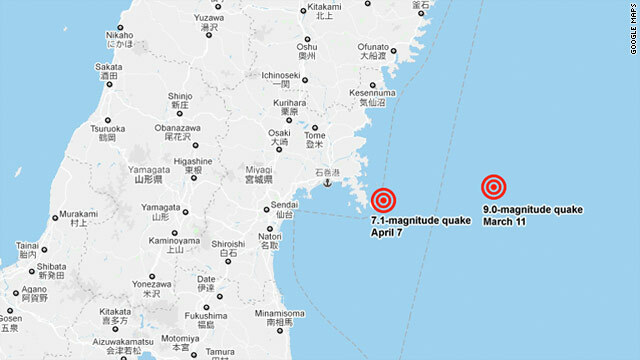 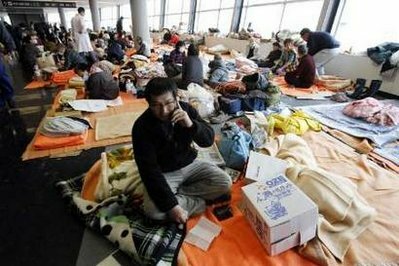 The Japan meteorological agency briefly issued another tsunami warning Thursday night, but later canceled it.